Auto Window Tinting Experts in Tampa, FL. At Sun Stop of Tampa, FL, automotive window tinting is our specialty, and we’re here to help you get the best results for your car or truck. Caring for your car or truck requires far more than simply regular washes and engine maintenance. 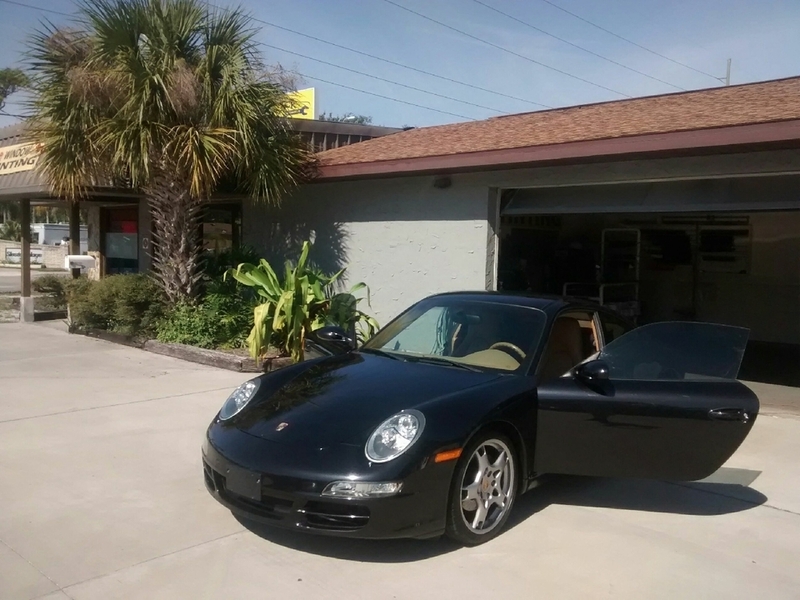 Car tinting blocks the harsh Florida sun from penetrating your car window, and professionally-installed car tinting improves the comfort and safety of your vehicle. Sun Stop of Tampa’s tint films are superior to other car tint products in reducing solar gain and glare, as well as enhancing the overall appearance of your vehicle. In addition to lowering the interior temperature of your car, tinted windows help eliminate UV damage. Therefore, by reducing your car’s air conditioning load, automotive tinting can even lower your monthly gas costs! Does the Florida heat make you and your passengers feel uncomfortable in your vehicle? Are you worried your vehicle’s interior will fade or prematurely wear? Does harsh glare on your vehicle’s windshield disrupt your ability to drive safely? Professionally-installed car window tint is the solution you’ve been looking for. Stop by Sun Stop of Tampa, FL for a no obligation consultation and a thorough analysis of your window tinting needs. We’re experts in our field and passionate about achieving excellent results for our clients. You can also call us at (813) 961-3306 or click here for a free estimate and answers to any of your automotive window tinting questions.